How to Find the Best HVAC Contractor in York, PA | Williams Service Co.
Consumers lose more than $3 million a year due to contractor scams. These contractors take a customer’s deposit and disappear. Or they do sub-par work that ends up costing customers much more to repair. If you are looking for air conditioning service, it’s important to learn how to find the best HVAC contractor in your area. 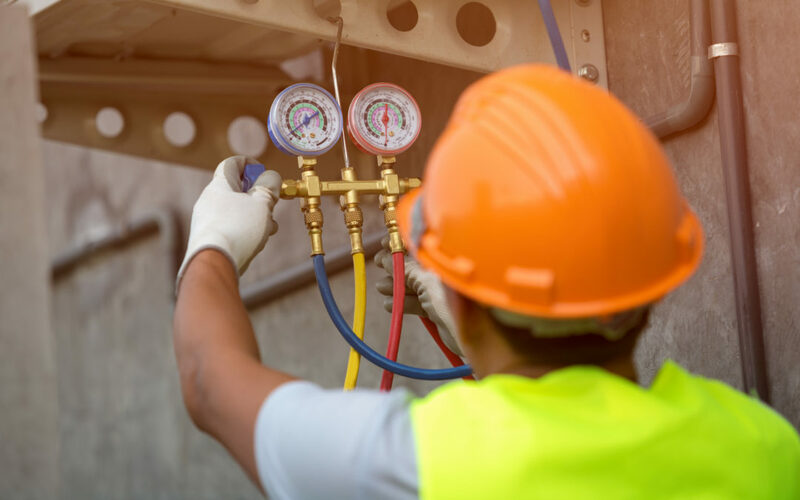 Read on to learn what to look for in HVAC contractors in York, PA.
HVAC contractors work with gas lines, electrical and plumbing systems. They need to be qualified to work with these dangerous systems. It’s vital that you only hire an HVAC contractor in York, PA who is fully licensed. Don’t take a contractor’s word for it, either. Look at the contractor’s website. Many contractors list their license number on their site. If you can’t find it there, ask for proof of license. Never hire HVAC contractors without a license. There’s no guarantee that the work will be done right without it. Once you have the license number, you can verify a professional who is licensed in Pensylvania. Make sure to also ask to see liability insurance forms and worker’s compensation documents. Any sub-contractors or employees need to be covered under this coverage. Once you have verified a contractor’s licensing, you need to continue the research. Your best source for finding honest, reliable reviews is Google. Other review sites like Yelp filter their reviews so that negative reviews are hidden. Use Google or Facebook to see what other customers say about the HVAC contractor you are considering in York, PA.
Be wary of too few reviews as well as a bunch of negative reviews. It’s unavoidable that a company will have a couple of unhappy customers. But if the majority of people are writing negative reviews, this is a sign that you should keep searching. It’s also wise to ask HVAC contractors for a list of references. You can call each one and find out about the contractor’s professionalism, timeliness, and work ethic. Once you’ve found a few contractors that are licensed and are reputable, it’s time to ask for estimates. All estimates and quotes should be sent in writing. Never accept estimates over the phone. For one thing, without coming to your home to have a look, there is no way that a contractor can accurately consider the many factors that are involved. These contractors may be inexperienced or desperate for the job. Neither of which you want for your HVAC project. When you get the estimates, make sure to look beyond the price at warranty information. And see when the project will be completed. It may be worth paying more to have the work completed sooner. Also, pay attention to the model that the HVAC contractors plan to install. You’ll want a high-efficiency unit that is built to last. Of course, you want to save money on any and all home expenses. But at what cost? You should never undersell your HVAC. After all, it is the only mechanical system in your home. It keeps your home properly heated and cooled and keeps your breathing air clean. If you get several bids for the job and one of the quotes is substantially less than all the others, tread with caution. Maybe these un-ethical HVAC contractors are unlicensed or using another contractor’s license. Or they could be installing used or stolen equipment. Saving a few dollars is not worth the price you’ll have to pay if the unit is not installed correctly and these bargain contractors stop answering your calls. In the long run, these discount contractors could cost you more money because of how much it will cost to have a professional come fix the problems. And without a warranty, if something goes wrong in a year or two, you’ll have no way of getting support. If a price seems too good to be true, it probably is. Save yourself a lot of grief down the road and choose a reputable HVAC contractor from the beginning. Once you’ve gathered your bids, and have tentatively chosen one, it’s time to see if that HVAC company has any complaints registered with the Better Business Bureau. Visit the York, PA better business bureau website to search for complaints against the company you are thinking of hiring. You’ll be able to see past complaints as well as any outstanding complaints. Ideally, you want to hire HVAC contractors that don’t have any complaints filed against them. You can also research the company through your local Chamber of Commerce and Department of Consumer Affairs. If a business has been operating for years and hasn’t had complaints, chances are very high that they are professional and trustworthy HVAC contractors that will do good work for you in your home. When you are ready to hire an HVAC contractor you should ask for a detailed contract. A contract is a legally binding document that helps both you and your HVAC contractor. Having a contract removes any chance of a misunderstanding about what the project will involve. It also protects you in case something goes wrong once the work in underway. The contract should be as detailed as possible. It needs to include the contractor’s business name and contact information as well as the licensing number, and proof of insurance. Your name and address should appear on the contract, too. A contract should itemize all the materials that will be used. It will outline what the project is and who will perform the tasks. You’ll find details on payment schedules and deposits on the contract as well as warranty information. As you can see, you need to do your due diligence before hiring an HVAC contractor. But the time you spend researching will be worth the effort to prevent costly scams and avoid frustrations. At Williams Service Company, we have been providing excellent HVAC service in the York, Lancaster, Harrisburg and surrounding areas since 1979. Contact us to request a service call for all your residential and commercial HVAC needs.